Is Cranberry Juice a Natural Diuretic? Can Too Much Grapefruit Juice Cause Bladder Problems? Do Cranberries Have Citric Acid? Diuretics can rid your body of toxins and excess water by stimulating urination. Many times, diuretics are prescription or over-the-counter medications, but there are natural foods and drinks that can accomplish the same thing -- cranberry juice being one of them. 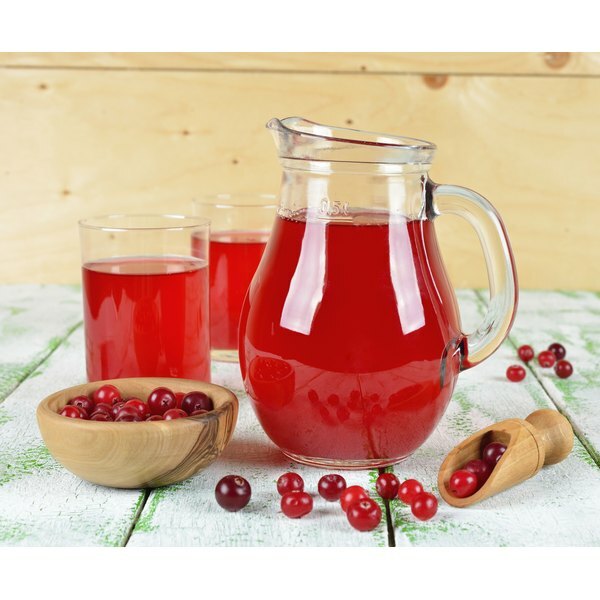 Cranberry juice is a natural diuretic and many people believe it works better than medications. One of the advantages of drinking cranberry juice is that in addition to its diuretic properties, it provides lots of antioxidants, vitamins and fiber. It can help boost your immune system because it is a good source of vitamin C. Acids in cranberries also are believed to help prevent kidney stones. While it is a diuretic, cranberry juice doesn't deplete the body of potassium. Many medications can do that (as well as have other side effects). Cranberry juice also contains proanthocyanidin, which prevents bacteria from building up in the urinary tract, according to the National Institutes of Health. That is why cranberry juice is effective in treating urinary tract, bladder and kidney infections, and it may also help treat ulcers and gum disease. To get the benefits of cranberry juice, you need to drink pure cranberry juice, not cranberry juice cocktail, which is a mixture of juices and sugar water. Drink 8 to 16 ounces of pure cranberry juice each day. If you want the best diuretic effect, you also will want to increase your water intake to at least three times the amount of cranberry juice you are drinking. You also can dilute the cranberry juice with the water if you don't like the tart taste of the pure juice. With that combination, the cranberry juice cleanses your system and the water flushes it out of your body. Some experts believe that cranberry juice is a better preventative than cure. That means you should consider making cranberry juice part of your regular diet to help keep your system flushed and healthy.